No Way Jose is one of few horses Brian Meehan has entered this season. Ran well on both starts and unlucky last time out when stuck behind horses. A recent Lowther Stakes (Group 2) entry adds to confidence. Well drawn. Charlie Fellows has been relatively quiet this two-year-old season. His two talents are both owned by Highclere Thoroughbreds Racing. Readers may remember Snazzy who has been highly tried after winning well on debut. Sibirica was fancied on debut but disappointed. There was an issue that day. I had my eye on this filly because she was entered for the Hilary Needler but didn't take that route. This daughter of Exceed And Excel was well backed last time out from 50/1 - 20/1. She contested the race finishing behind No Way Jose. This chestnut filly ran on with purpose at Newmarket. Interesting how she copes with this turning course. Perhaps a step up in distance may help. It is possible she will progress from that last start and could show more. *Magical Wish was placed very well on debut by Richard Hannon. In fact, I suspect connections were very surprised he didn't take the spoils although doing little wrong defeated by short head. Second start saw the other side of the coin when winning by a nose. A win penalty makes live more difficult. the apprentice takes off a valuable 3lb. A nursery race. Just the one horse entered being Wolf Hunter. 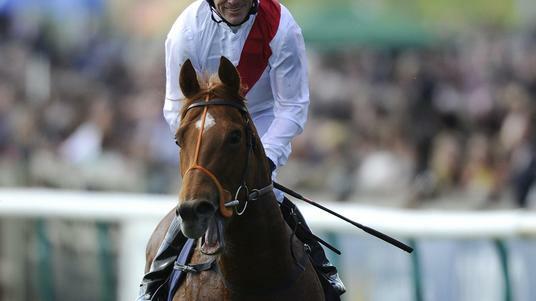 Richard Hughes' charge has shown glimmers of ability even racing at selling class. The hood is fitted for the first time. A 64 rating is pretty low detailing a horse of plating class. Not the easiest of races to assess. Rockin Roy has been a consistent type. A couple of wins, placed twice and a creditable performance at Royal Ascot when contending the Windsor Castle Listed race. A win penalty will make life harder but the type of horse to hold every chance at 2/5f. Robert Cowell's So Hi Speed ran well second start and even traveled to France when behind winning stablemate Pocket Dynamo. 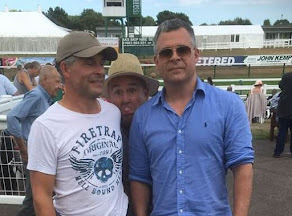 This American-bred son of Central Banker disappointed at Chepstow. Interesting to consider if there was an issue that day because it seemed a dismal effort. There is a chance he has regressed. This turning 5f may well suit. He showed good pace on the all-weather at Chelmsford. Has something to prove. The visor has been applied most likely to bring improvement. Across The Sea is interesting. She has been fancied on both starts to date. James Tate doesn't have too many entered juveniles and this daughter of Dubawi looked to have a great chance of winning at Kempton. She looked to hold every hope but tired quickly in the final furlong. She was keen that day and that definitely took its toll. This drop back to the minimum trip may be a good move. Interesting to see if she has enough pace to sit in a handy position. John Gosden has Kessar running here. Ran well on debut at York when narrowly beaten. Disappointed when dropping in distance at Royal Ascot. The hood has been applied for the first time. Should enjoy this easier task.